These words are breathed in the dying moments of the second installation of The Hobbit adaptation, The Desolation of Smaug. Inevitably, this is the question that true Tolkien fans expect Peter Jackson’s adaptation team to be asking of themselves right now. I would encourage true Tolkien fans to get angry with me in the comments below. The truth is, I quite liked this film. As a fantasy adventure that took some imaginative risks, it was a cinematic treat. Still, given the ominous quote in the title, I thought it would be appropriate in my review to ask what Jackson has really done. With the exception of the hint in title, I will not be providing any spoilers here. Indeed, I wish I were. Some of the greatest parts of the film are in the trailers that leaked out through 2013. This, I think, demonstrates the lack of elegance in The Hobbit trilogy of films. There seems to be less discretion with how far the adapters should go than there was with The Lord of the Rings. It comes down to the fundamental problem I identified in my review of the first film, An Unexpected Journey. With The Lord of the Rings, Jackson was adapting an epic book for an epic film. With The Hobbit, he is translating a fairy tale to an epic film. It is a much different task. And while I enjoy these films as they are, people expecting a faithful adaptation are always going to be disappointed. Adaptation is not enough. It requires translation. I will give two examples that are, I think, linked. I feel it in the earth. I smell it in the air. Instead, in An Unexpected Journey, we begin with a stock “old man setting the record straight” scene. 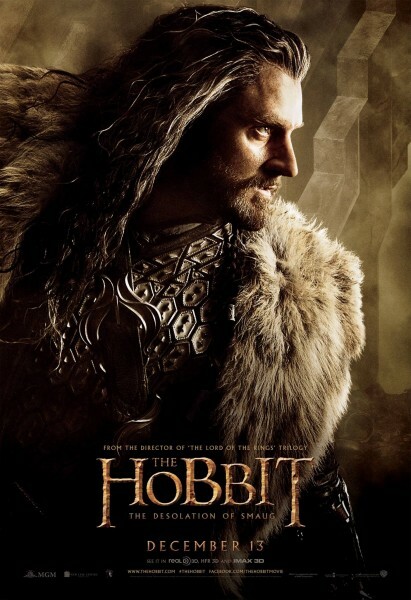 It is a very bad one minute of film before it launches into a brilliant vision of Erebor. But notice the transition: Bilbo says, “It began long ago, in a land far away….” It is a fairy tale beginning. Yet we know the film series cannot end, “and they lived happily ever after.” It is an epic. It will end with victory in the midst of great loss. It has to. This is where Peter Jackson falls between the stools of fairy tale and epic. While the structure of both LOTR and The Hobbit are fairy tales—there and back again tales—neither of the movie trilogies are. As The Fellowship of the Ring begins epically with a mythic voice, a Creation and Fall narrative, that is the voice that is needed in An Unexpected Journey. Instead, Jackson tries to backfill the mythic elements in the first two Hobbit films, adding small montages that echo legend and history. But “Genesis” is at the beginning of the Bible for a reason: all epic tales need an epic beginning, and usually a Creation myth that requires a messianic redeemer. In The Lord of the Rings, the messianic tale is a struggle against great evil that threatens to crush all that is beautiful. 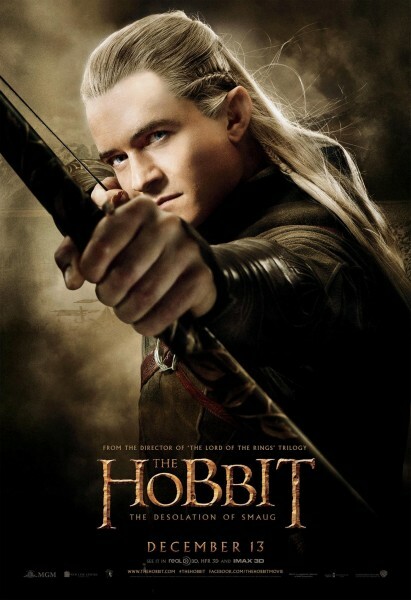 In The Hobbit trilogy, it is revenge against a monster. Jackson fails in the mythic elements. Which leads to the second translation problem in the new films, that of motivation. Perhaps it was meant to be a show of restraint, but behind the motivation of “revenge” against Smaug the Destroyer is really a story or Exile and Return. Or at least it could be. Slowly, the dwarfish heartache for the Lonely Mountain builds to its first misty vision four hours after the tale begins. Smaug is a pretender, a tyrant. Smaug is Babylon. I think the “Exile and Return” story is a real missed opportunity for Jackson in these new films. The biblical story comes down to these moments: Creation, Fall, Covenant, Exile and Return, and Redemption. This is the biblical story because it is the human story. In The Lord of the Rings we have the Creation, Fall, and Redemption elements; The Hobbit in translation to screen could be an Exile and Return story based upon a prophetic Covenant narrative. Does Peter Jackson fail here because he misunderstands mythmaking, or because he cannot understand J.R.R. Tolkien’s worldview? I’m just not sure. I am getting back to the mythic problems in Jackson’s Hobbit. But I am also looking toward the question of motivation. In translating from fairy tale to epic there has to be a shift in motivation. In a fairy tale, it is good enough that dwarves want gold or revenge or homecoming. It is good enough that good guys fight bad guys even when the good guys are at war with one another. It is a different kind of a tale. But in an epic we need deep reasons, motivations rooted in the myths that structure the tale. I feel these motivations are lacking here in the new films. Some examples. Thorin is a puzzle to me. I don’t see the conversion in his motivation from homecoming—return from Exile—to this arkenstone-lust and tribal hatred that dominates The Desolation of Smaug. More interaction with Balin and Bilbo was needed for us to see these shifts in Thorin. This is a concern I had in the beginning: how can Jackson show the gold lust well? One of the ways he does this is by paralleling the luring of the arkenstone with the luring of the One Ring. I think this is a mistake for three reasons. First, the arkenstone will bring reconciliation, while the ring only brings dispersion. Second, it means that the ring has to begin its luring of Bilbo so much earlier than is anticipated in The Lord of the Rings films. It creates a discontinuity within the world Jackson has created. And finally, it results in the confusion of Bilbo’s own motivation. There are some good moments, where Bilbo acts based on motivations of duty and personal morality and friendship (and a hobbitish kind of courage). But when Bilbo meets the arkenstone, many things are confused. He risks life and limb to do his duty, but it is not clear why, in the end, he does not. Is it the lure of the arkenstone? Is it the lure of the ring? Is it the concern that Bilbo has for faltering Thorin? I’m just not sure. And there is more confusion on the motivation front. Why is Saruman faltering? Is Galadriel a rebel? All of a sudden Thorin is on the run from Sauron’s hitmen and Gandalf has a crisis of conscience over his meddling in Middle Earth. Why is Bard helping? Why is Bard not helping? Why is Bard in jail? Why is Bard running through town with a black arrow when there is no threat just yet? Why does Smaug leave the battle when he does? Most of all, there are times that the inner motivations of the good characters look much the same as the motivation of Azog the Defiler. And then there is the elf-chick/dwarf/elf-prince love triangle. But who can account for the motivations of the heart? You may be wondering how I could say that I liked this film. 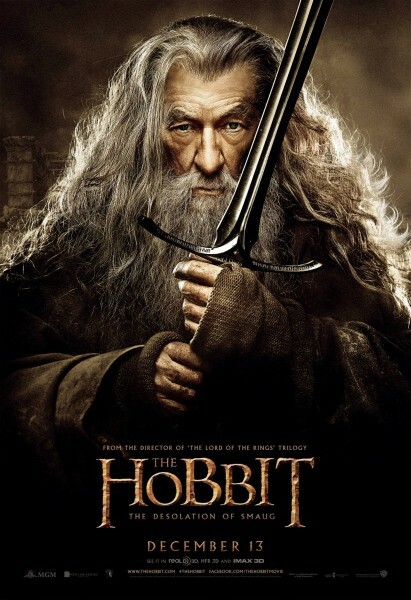 It is true that I think that The Hobbit films fail as epic films, and fail as a translation of Tolkien’s fairy tale. However, The Desolation of Smaug is a great fantasy adventure. It is filled with bright humour, beautiful scenery, characters that catch my attention, and a distinct goal that has me peaking around the corners as the camera pans. Sure, there are some costume seams running up the backs of monsters. The dimensions of time and space are paced awkwardly in the series. 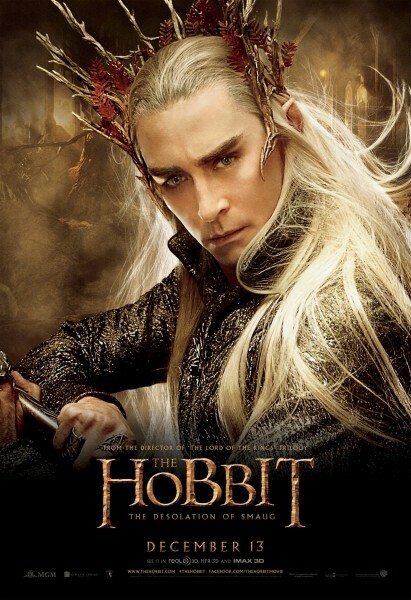 And Thranduil, the Elf King of Mirkwood is like David Bowie’s long lost elf-child from Labrynth. But, despite these problems, it really is great fun. In particular, I love the battle scenes. Elves are incredible fighters, better than a faerie version of Bruce Lee. The imaginative risks in choreography take a Disneyland barrel-river scene and turns it into the highlight of the film. 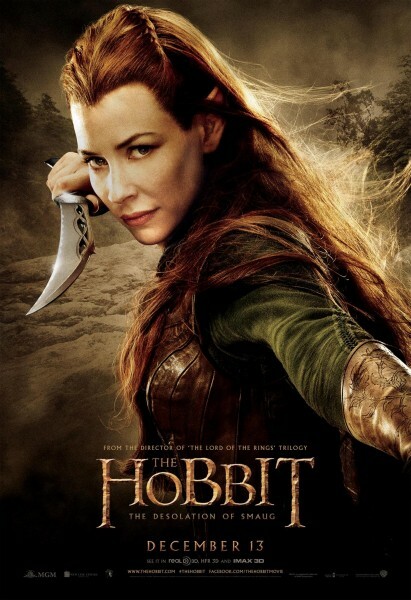 And despite my puzzlement, I really do like Tauriel the elf-lady. She helps create tension when it is tempting to forget the role that elves play in the tale. And I do like Smaug. After the Eragon adaptation, I thought I could never bear another dragon on film. But Benedict Cumberbatch’s voice with a visually stunning worm of misery is a great combination. So, what has Peter Jackson done here? He has certainly not created an adaptation that will satisfy many Tolkien Society members. 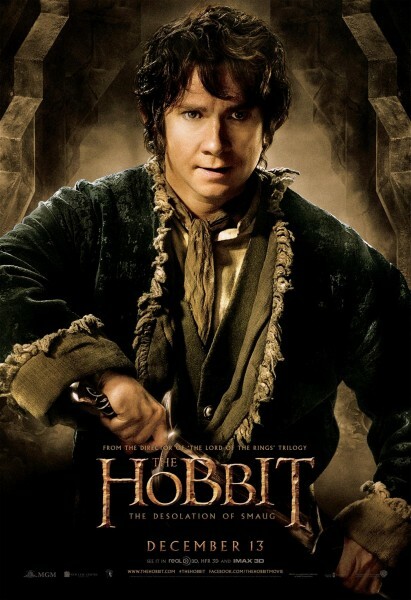 No doubt they are calling this film “The Desolation of Tolkien.” And I don’t think he has done a great job of translating The Hobbit into an epic film, despite what I think is a superb performance by Martin Freeman. What he has done, despite all flaws and hesitations, is create what is a very good fantasy adventure series inspired by The Hobbit. And he has improved. 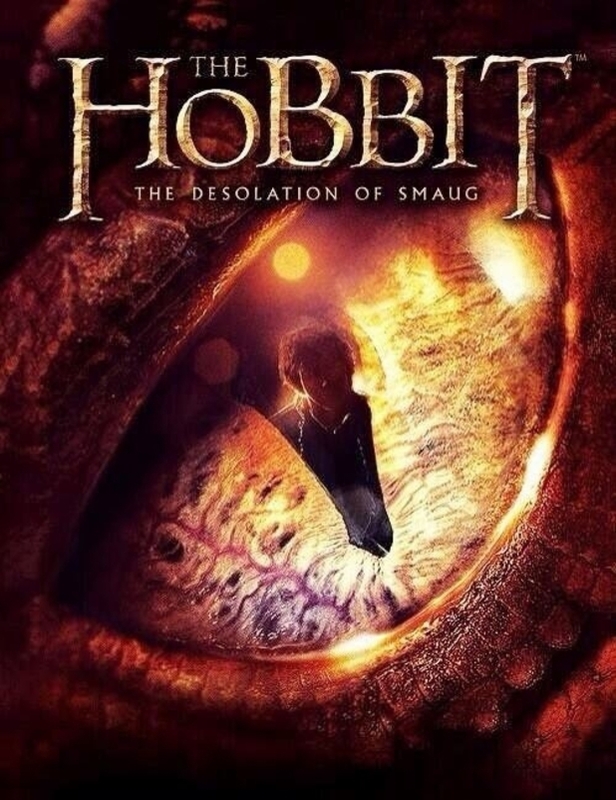 The Desolation of Smaug is undoubtedly superior to An Unexpected Journey. I will watch it a second time to really know for sure, but I am quite excited about the last film, There and Back Again. This entry was posted in Reviews and tagged Benedict Cumberbatch, Evangeline Lilly, fairy tale, fantasy, film, film adaptation, J.R.R. Tolkien, literature, Martin Freeman, myth, Orlando Bloom, Peter Jackson, Sir Ian McKellen, The Desolation of Smaug, The Hobbit, The Lord of the Rings. Bookmark the permalink. Very true. When I heard this was being milked into 3 movies, I laughed. The hobbit was shorter than any of the lotr books and somehow it is going to be a trilogy. I was amazed when I heard. I think it was the Tolkien Prof that first targeted the epic-fairy tale divide, I don’t know. But, save the Battle of 5 Armies, I had trouble seeing how it could be done. I can’t debate about it yet because I haven’t seen it, but I already know from the first film and the trailers that it has very little to do with the book. I suspect that Jackson and the other writers don’t actually like the book… I also suspect that they don’t have a vision for what they are doing with it. They’ve also made some unfortunate story-telling choices, like substituting petty reasons for the elf/dwarf conflict for much more powerful reasons. but here’s hoping I enjoy the spectacle anyway. I’m having a hard time finding friends willing to go with me, even to a matinee for $5.50. There’s a lot of anger going around, and those who have already seen it are mostly discouraging those who haven’t from bothering. I hope you do find someone to go with. I would recommend going with someone who just likes great adventures, rather than a Tolkien fan. And I wonder: You are something of an expert. Has your cyncism–your Jacksonitis–deepened the more that you know of Tolkien’s world? The reasoning for elf-dwarf conflict deepens in #2, but not by much. The friend I was hoping to go with, who is very non-critical of films in general, went to see it with someone else already and is going again with her nieces, but the time may not work for me. I may go alone, but I might also talk my brother into it as his merciless teasing of me ought to keep me in a lighter mood. His problems with the first movie differ a bit from mine, too, so that helps give me perspective. Ah, I was deep in the Tolkien legendarium before Jackson’s Fellowship of the Ring. I went into the theater, that first time, expecting to see Tolkien butchered on screen and I was pleasantly surprised. I thought then, and I still think, that the LotR films did a good job and were respectful of the original work. I liked most (though not all) of the changes they made in adapting that story to the silver screen. The problems I had then are still the problems I have now, but they don’t overshadow my appreciation of the whole. The pacing in both is bad. Part of my argument, though, is that as a viewer, we buy into the LOTR films because they are myth-based epic films. So if there is 6 minutes of laughing or 3 hours of 3 guys running in Rohan, we are okay with that. But with this fairy tale-epic with no myth, we don’t buy in. They have to be better to be just as good, if you see what I mean. I’ll grant that RotK was badly paced, but I don’t think FotR or TT were. You have a point with the fairy-tale epic bit, though. One of the problems is the padding it takes to turn a short fairytale and bits of the Appendices into an “epic.” I also wonder if Jackson and co. had less autonomy this time around. There is actually a lawsuit over source material between the studio and the JRRT folk, so we’ll see. I wonder if that is a big PR student. Dunno. The big thing is taking up the war with the Necromancer–just a few lines in the Hobbit. It isn’t padding, but a second storyline. That’s optimistic. We’ll see. No, I primarily feel sadness when I think that for some people this will be their first introduction to Tolkien and that later if they go to the book they’ll be disappointed that it’s not as exciting and fast paced and so angsty as the movie and think that Jackson is a better storyteller and more visionary than Tolkien ever was. But I guess I can’t do anything about that and I suspect even Jackson would feel sad if people had that reaction. I think you hit most of the points as to why The Hobbit films aren’t as well told as the LOTR ones. Some of the reasons lie with Peter Jackson and with what I think is his inability to get Tolkien and others are simply the difficulties you mention between telling a fairy tale and an epic on screen. But hey, the cinematography has always been great. And I do want to see the movie or parts of it at least for the scenes with Smaug. Although the best ever screen dragon is Vermithrax Pejorative from Dragonslayer. From what I have heard, both from those who like it and those who don’t, is that it IS Tolkien fanfiction. Whether it is good or bad fanfiction depends on who you ask. I haven’t seen it yet to give an opinion. Thorough and thoughtful. What we have come to expect from you. Bravo! Many thanks Rob! Will you see the film? Your reviewer’s hammer hit the nail on the head regarding the epic vs fairy tale trouble that Jackson is vacillating between. I’d personally say that “Adaptation is too much; translation is what’s needed.” However, cinema seems to have trouble getting the epic feeling right under any circumstances. Hollywood has done better with fairy tales on occasion, but I think the “requirement” that The Hobbit be an action movie might be the reason for its failure in that department. Jackson is a great action/adventure director, so it’s no surprise to me that you praise those parts of the movie. Tolkien, on the other hand, had little love for the sort of action and adventure that today dominate most fantasy literature and films. That’s a compatibility problem from the start. We should probably be pleased that Jackson did as well as he did with LotR. I chalk that up to respect for Tolkien, which (as I’ve ranted elsewhere) seems lacking on this project. I will fix that spelling! I used the Greek, of course. A bad assumption when dealing with an author from the middle ages. Narnia is much more Greek, and that was my favourite subject in school. I liked LOTR and thought they better represented the books than the Hobbit films. You are right about the action. As I think about it more, I think the gaf is when Hobbit is set up like a fairy tale and then tries to be epic, whereas LOTR was an epic with fairy tale elements. So some of my favourite parts of LOTR are the fairy tale elements–humour, light, story, hopefulness, Hobbitness. But in the Hobbit films, my favourite parts are the epic parts–adventure, battles, struggle, impossibility. This is why I used the 2 stool analogy. I don’t mind the inclusion of that storyline. I am intrigued to see what they do with it. There is plenty of padding besides that, though. Great review! 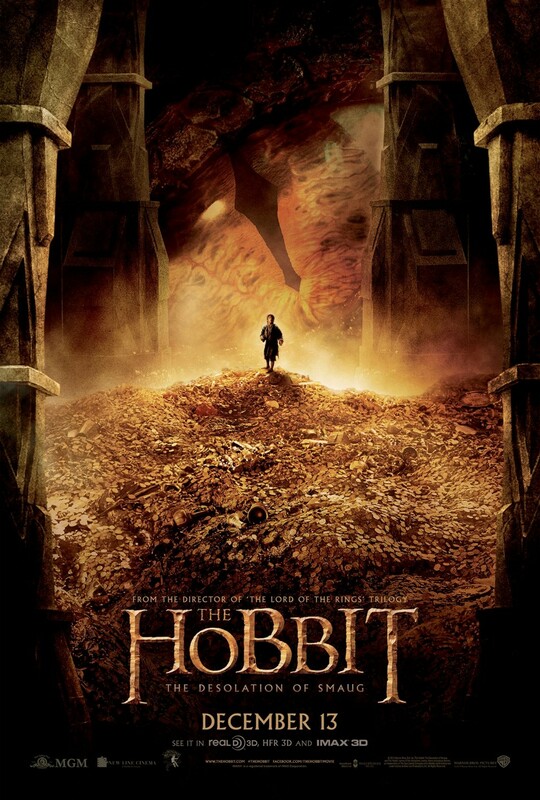 I haven’t seen yet but I was expecting it to be a feast for the eyes, some good acting but not true to Tolkien’s story. I wonder if the movie gets saved when it’s released on dvd with deleted scenes put back in like they did with LOTR. I agree with this statement, and I think it unlocks both what works and doesn’t work in other great fantasy/epic stories. We need to care about what is at stake. In the book of the Hobbit, there is not much at stake until the very end. And at the end of the book, the definition of enemy and friend changes because of new meaning. Yes really great review – and I think you nailed it about the epic v fairytale mash-up. As you know I was very fangirly about the first movie, but now that you mention it, probably for the spectacle rather than storytelling brilliance. My attitude going in is to appreciate what works, and suspend disbelief (as far as you can) for the rest. However I was nervous about the motivations / new storylines going in to this movie – which is why I haven’t seen it yet. Although I will – although I am glad you still found plenty to like. There is a lot to like in both films, though more in the second one. I need to watch the DVD and then re-watch #2 to put things in context, but it is worth going to. Well, I saw the movie yesterday. The best thing about it was the Godzilla trailer beforehand. The second best thing were the scenes with Smaug. My quick review: Leave in pretty much everything with Smaug and take out most everything else, and you’ve got yourself a pretty good movie! I am more positive, but I’m also not as much a purist, as we’ve discussed. I will check it out. I hoped you had more than 2 lines to say! Terror in a high place, will our hero fall to his doom? Our hero is in danger. Will help come? Ah yes, a rescuer crashes into the scene, the “surprise” heightened by the scene being filmed in close-up, etc. And then during the chase by the dragon through Erebor I just got bored. It can’t be that I know the story, I never got bored during the films of The Lord of the Rings. I feel that I owe the story the duty of my attendance at the final film though I fear that it will be long on battle scenes and short on skilled story telling. Now, myself, I quite liked the action shots, especially the new ninja elves. But I can only love those once I’ve given up myself!